Barabaig: Life, Love and Death on Tanzania’s Hanang Plains | Daily Review: Film, stage and music reviews, interviews and more. How does a privileged, middle-class, white guy from Melbourne wind up living with nomadic Tanzanian cattle herders for two years in the 1980s? And exposing the human rights abuses and dispossession they suffered to the world? And shaming the Canadian government into withdrawing from the wheat scheme they sponsored that led to so much harm? Barabaig: Life, Love and Death on Tanzania’s Hanang Plains is a remarkable book. Part memoir, part political and cultural analysis, part photographic record, it documents the lives of the Barabaig, a much-feared and maligned traditional African group known for ‘ritual murder’. Written by Dr Charles Lane, the books tells two stories: one of devastating human rights abuses, environmental degradation and irreparable cultural loss caused by a land grab by the Tanzanian government (funded by Canadian aid); the other a kind of homage to the Barabaig, through the personal and philosophical reflections of the author about the people he lived with and their lasting impact on him. Lane spent 10 years in Tanzania, initially as a volunteer agricultural extension officer and later as Oxfam Field Director. Challenging the existing aid orthodoxy, Lane was able to shift Oxfam’s focus of support in Tanzania from ‘villagisation’ to self-determined community development. 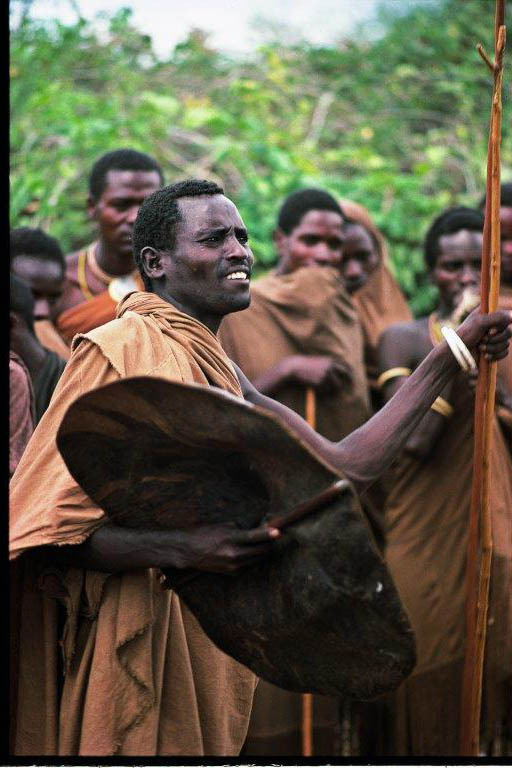 “The breaking of historic land tenure arrangements and the abandonment of traditional agricultural practices made no ecological sense; sustainable livelihoods were being destroyed by political objectives,” he writes in Barabaig: Life, Love and Death on Tanzania’s Hanang Plains. Faced with the impending disaster of trying to settle nomads, he argued for a shift in approach that marked a turning point in development philosophy. Later, this led to Lane’s immersion with the Barabaig whom he saw as one of the groups most threatened by development driven change. His PhD, Pastures Lost, published in 1996, is the academic face of his research into the political, cultural and environmental impacts of pastoral development. This latest book, published 30 years later, is the unashamedly subjective record of that extraordinary two years. “Any remnant of my middle-class white racist background was stripped away in my time there” – Charles Lane. Lane had stepped into a way of life both utterly foreign and disconcertingly familiar. “They practised ritual killing. They washed their hands in cow’s urine (a sterile alternative to very scarce water). It could hardly have been more different to the life I had led in Melbourne and London,” Lane tells Daily Review. “Any remnant of my middle-class white racist background was stripped away in my time there. It was clear that all the emotions, the humour, pathos, jealousy, rage, love – it was all there, all the same,” he says. He had also seen, too often, western researchers land in poor, beleaguered communities and then drive away with their data, the communities they studied left without benefit for their academic ambitions. In contrast, Lane has championed the Barabaig cause for 40 years. He has taken his family back to Africa to visit his Barabaig friends and many of the children he lived within the ’80s now follow him on social media. “I was immersed, engaged, involved in their lives, observing their struggles, they were not simply the objects of my research,” he says. ‘I knew I would need to earn the trust and support of the Barabaig, and that this would not be easy with their fraught history and healthy distrust of strangers. Their experience of white men was mainly of missionaries attempting to convert them to an alien religion, men in trucks coming to cut down their trees, and others shooting game or capturing rare birds. Few of these men had any interest in the Barabaig, only ever wanting to exploit them or their resources for their own ends. “I’ve tried to be an honest witness, and that’s no small thing,” Lane says. In the foreword to the book British author and environmentalist George Monbiot calls the experiences of the Barabaig “one of the most neglected human rights abuses of our time”. Monbiot describes Lane’s book as a “beautiful and riveting account, rich in insights and revelations about the Barabaig…it builds a devastating case against those who blithely destroyed the lives of others. It should be read by anyone with an interest in ‘development’ (whatever meaning they might attach to that word), in social research, anthropology, indigenous rights and respect for other cultures”. Stephen Corry, the director of Survival International also writes in the forward notes Lane’s unceasing advocacy for the people who have seen more of their territory stolen in the years since his research, and celebrates his photographic record, ‘…outstanding images of a proud people who had developed and honed a good way of living from an environment they knew intimately as home”. Lane has not limited his life to good intentions. His deep convictions about justice and equity have shaped him. He worked hard to influence the distribution of aid to Africa in the 1980s towards enabling communities to help themselves, rather than be helped by and dependent on others. On his return to Australia after 30 years abroad, Lane was CEO of the The Myer Foundation and Sydney Myer Fund and later led the Division of Community Strengthening and Volunteering in the Department for Victorian Communities. He has held numerous advisory roles in conservation, community development, human rights, development aid, social research, and philanthropic fields. Barabaig: Life, Love and Death on Tanzania’s Hanang Plains is available in bookshops and online. An exhibition of photographs from the book is being held from September 19-24 at BRIGHTSPACE Gallery, St Kilda in Melbourne. Journalist Martin Flanagan will launch the book at the gallery at 6pm on September 19.